Expectations is the root of all heartache. It makes me feel so good to help someone specially to my family until I’m still around I won’t stop and not expecting in returns. Never repay evil with evil you can be anything but ungrateful in life. Do not expect nothing in return but it hurts when people are ungrateful and forget the things that people do for them and turn back and put those people down but God is great and he knows everything. Actually nowadays you won't get anything in return but horrible bad things and that's only for being good to others but still one good thing you will earn which is knowing how bad and tricky people could be. 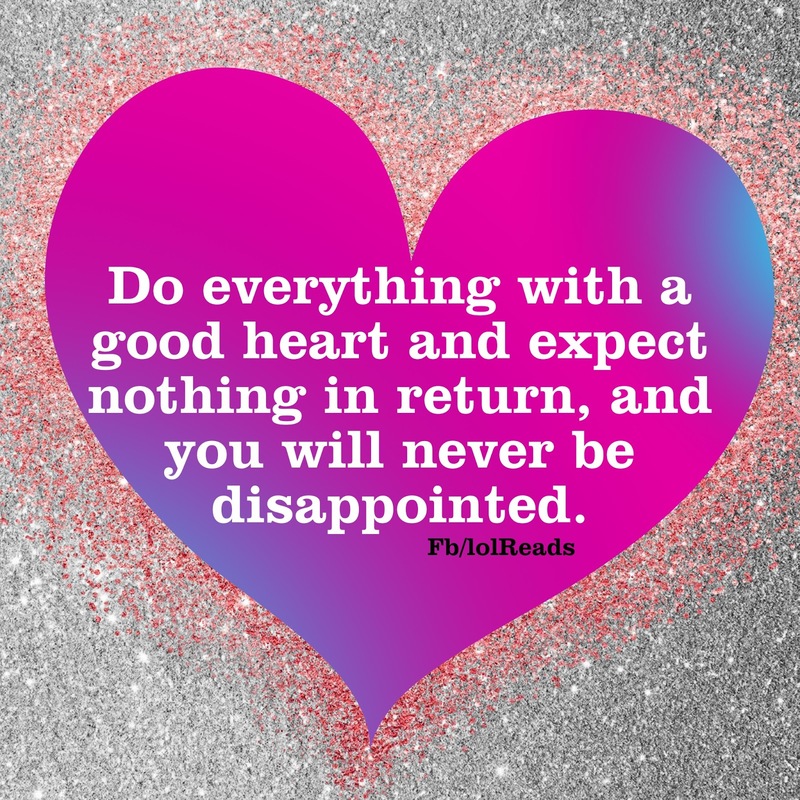 Do everything with a good heart picture/image is an Inspirational Stuff to Inspire and Motivate You. You can download pics by just clicking on the Images. Thanks for visiting Truth Follower an online place for huge collection of inspiring pictures, quotation, and Sayings Images. If you like Do everything with a good heart, Please Share with friends and family on Facebook, Twitter, and Pinterest.